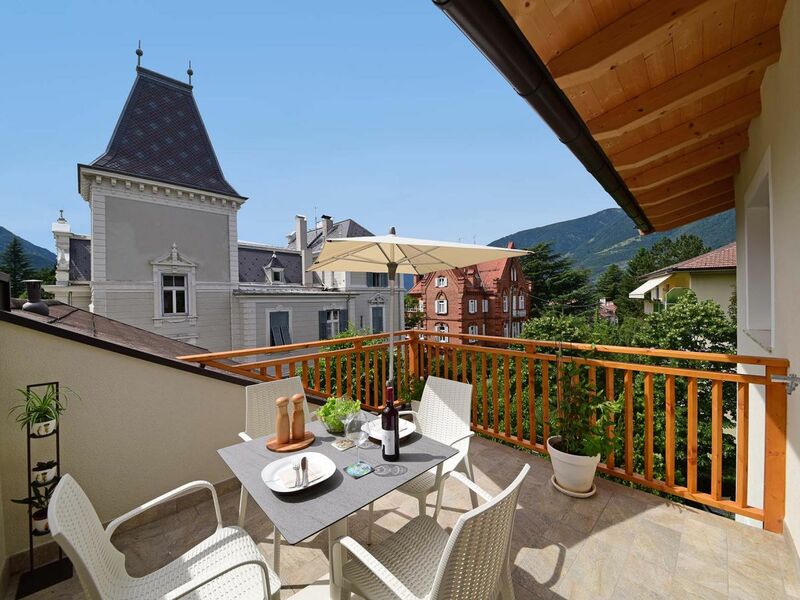 The elegant and tastefully furnished apartment has two double bedrooms, two bathrooms and a large living room, which opens up to a roof terrace with glorious views to the nearby mountains and the surrounding listed buildings. One of the bedrooms also has a balcony. 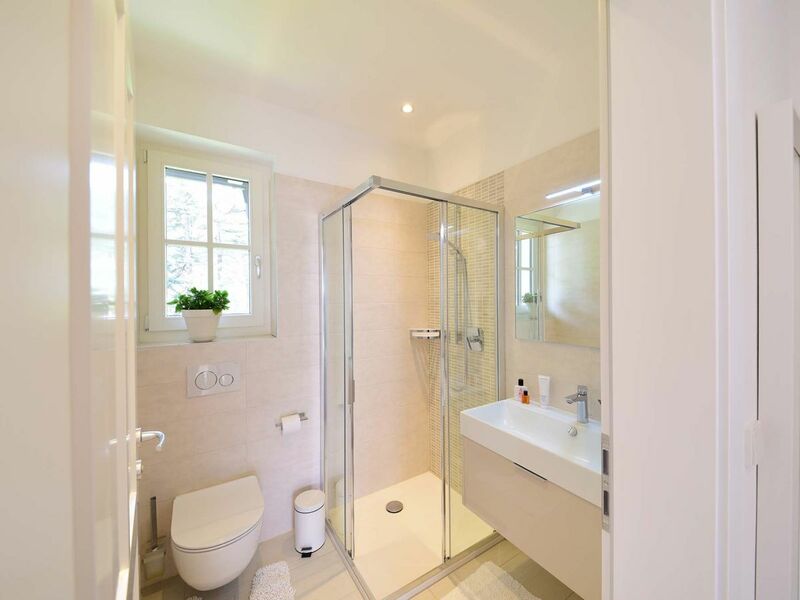 The apartment is fitted with underfloor heating and there is wood flooring throughout. 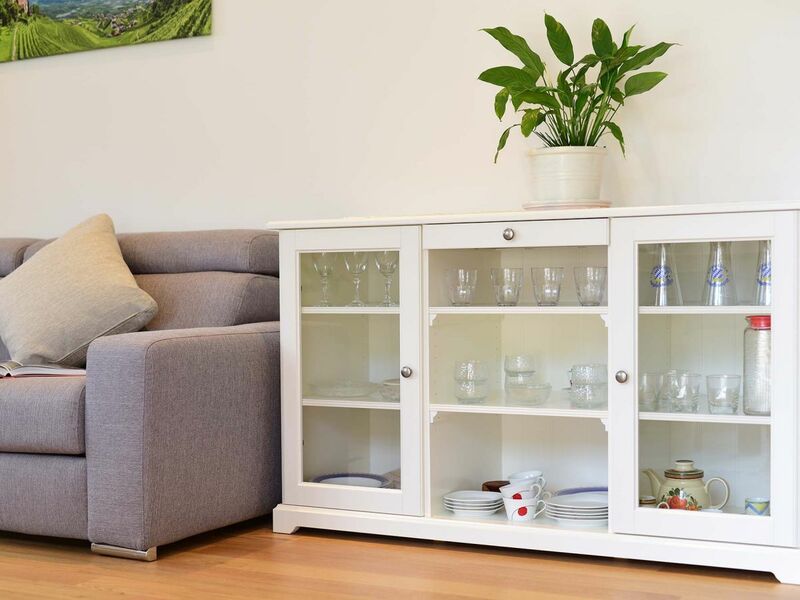 The living room contains a sofa-bed, a dining area and a flatscreen television. 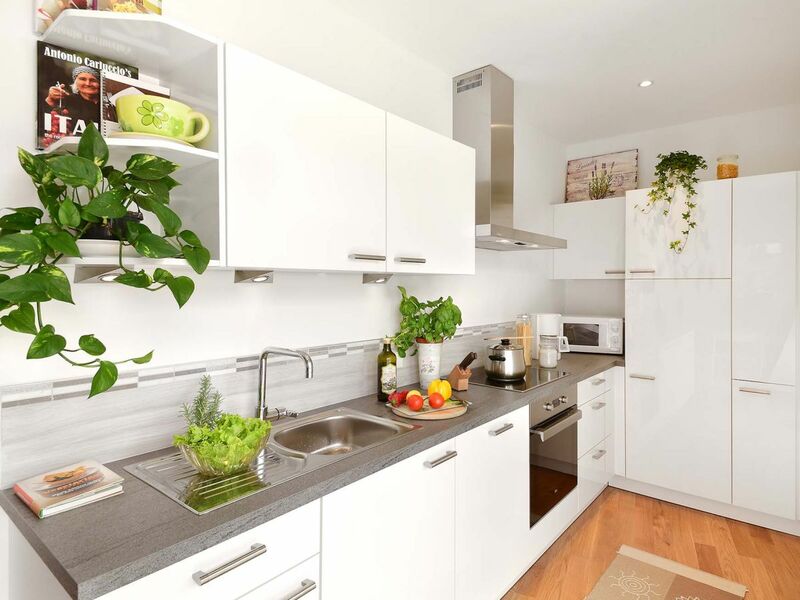 The built-in modern kitchen is fully equipped with all utensils and crockery and comes with dishwasher, electric stove and built-in oven, microwave oven and filter coffee coffee machine. 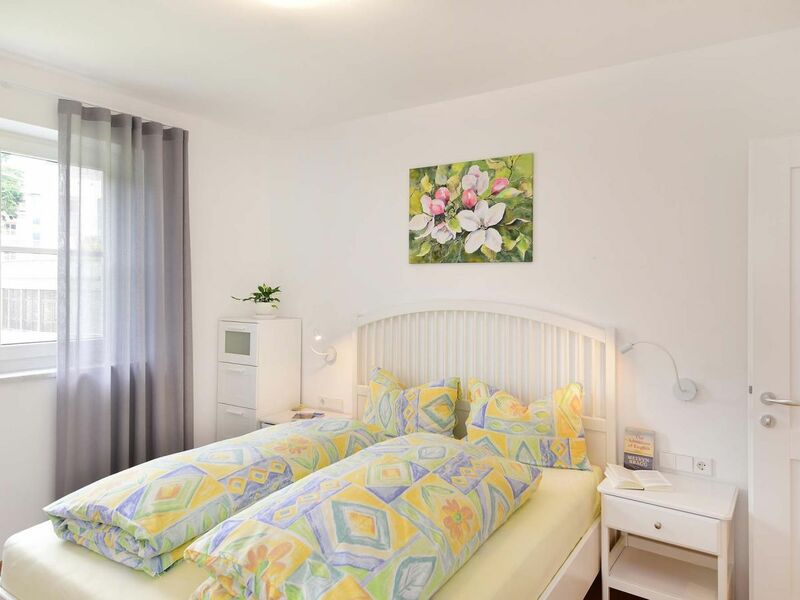 Bedlinen and towels are supplied. Die Ferienwohnung ist mit hochwertigen Holzböden und einer Fußbodenheizung ausgestattet. Von der Wohnküche aus haben Sie direkten Zugang zu einer Dachterrasse mit atemberaubendem Blick auf die Berge und die umliegenden denkmalgeschützten Gebäude. The historical centre of Merano as well as the famous Trauttmansdorff Castle can be reached on foot in 10-15 minutes. 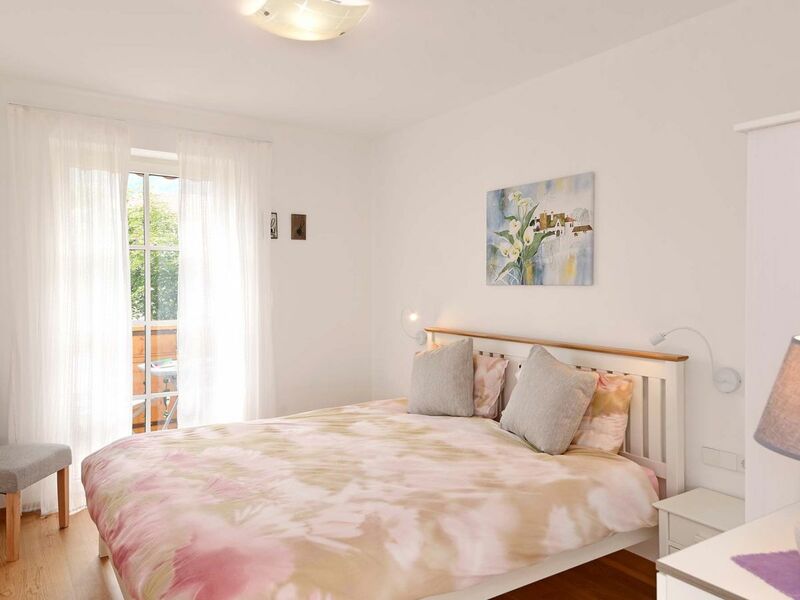 Our house is also the ideal starting point for walks along the Sissi Path or the Waalwege. 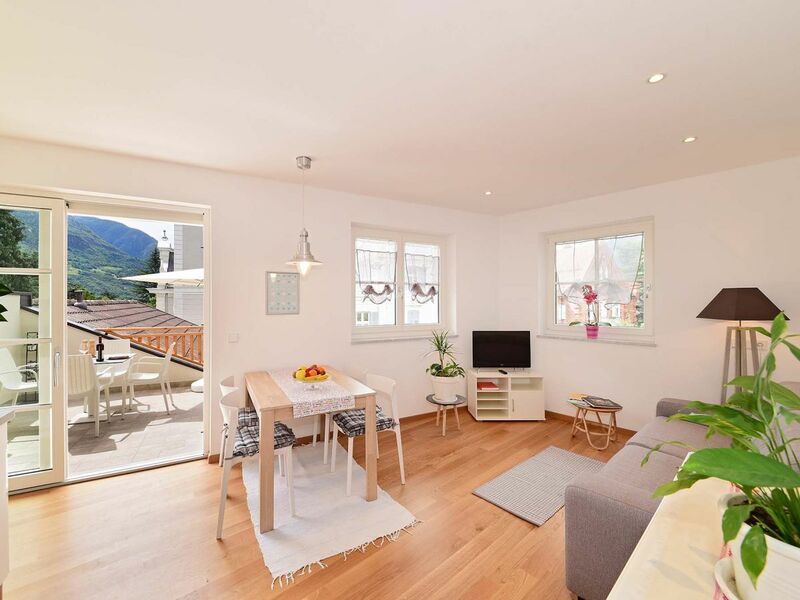 The apartment at Villa Thaler is located in a quiet road in the residential quarter of Obermais. The apartment is a good base for numerous scenic walks. The famous Trauttmansdorff Castle, the Promenade, the Tappeiner Path and the Waalwege can be reached directly from here. The city centre is less than 15 minutes walk away. You can leave your car in the private courtyard. 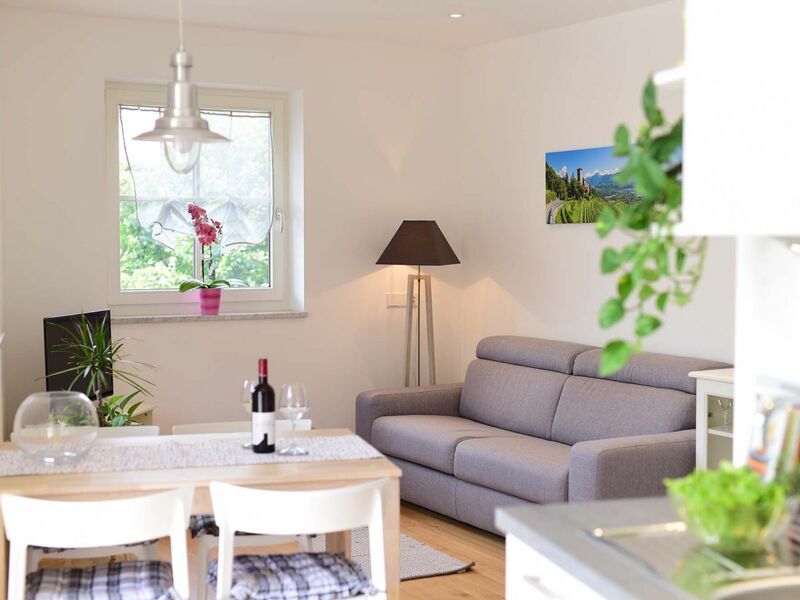 Die Ferienwohnung ist neu, bestens eingerichtet und lässt keine Wünsche offen. Die Lage ist sehr ruhig, Einkaufsmöglichkeiten, Restaurants und die Bushaltestelle sind in 5 Minuten zu Fuß zu erreichen. Besonders schön ist die Dachterrasse, auf der man morgens frühstücken und abends bis zum Schlafengehen sitzen kann. 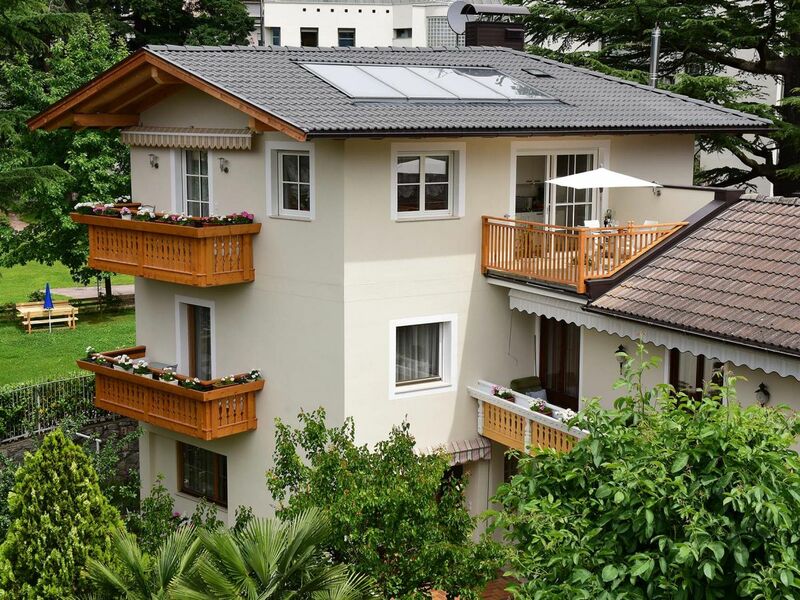 "Holiday apartment Villa Thaler" achieves a review of 5.0 (ranking scale: 1 to 5) due to 1 entered reviews.